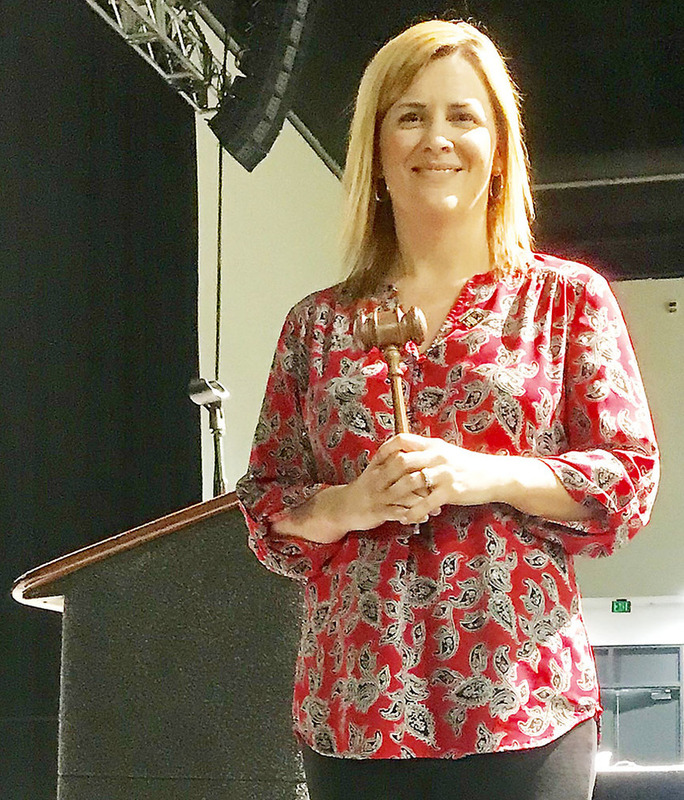 Tiffany Snyder last month was sworn in as president of the Arkansas School Nutrition Association. Snyder, who has worked for the Blytheville School District for 13 years, was sworn in by outgoing president Elizabeth Butler. As director of Food Services for the Blytheville School District, Tiffany Snyder has spent years researching and finding the kinds of food students like to eat, and then making certain they have plenty of those foods. Now, as president of the ASNA Snyder intends to do much the same thing, only on a larger level. Snyder, who has worked for the district for 13 years, was appointed Dec. 9 as president of the Arkansas School Nutrition Association. Snyder, who was sworn in by outgoing president Elizabeth Butler, has been a member of both the ASNA and federal School Nutrition Association for six years. As president Snyder will be responsible for attending and directing ASNA board meetings, traveling to conferences, keeping up with new regulations and laws for student nutrition, providing input on those regulations and laws and how the ASNA members will abide by them. Snyder believes her election as president will bring added recognition to her district. “This will put the Blytheville School District in the ‘spotlight’ for all that it has accomplished in food services during the years,” she stated. “As president I can use our school as an example of the progress we have made; it just puts everything ‘up front’. On the state level Snyder added that her responsibility will be to keep directors informed of new challenges to all food services. On the federal level Snyder said she will do her part to remain informed about the SNA rules and regulations and remain a supporter for the members.